The approved short sale at 2377 Selby Ave LA CA 90064 closed this past week after being on and off the market during 2011. Unless your behind the scenes on the deal, it's hard to really detail the exact events that happen during a short sale listing period. In this case, the home was listed low at $999,900 back in February of this year and received a few offers. After pending lender approval, some price increases and reductions, and several failed so called escrow periods, it looks like the final accepted offer happened back in August. 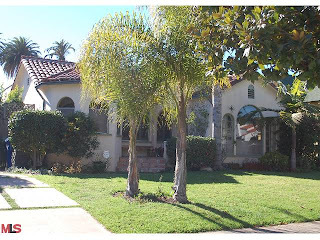 On 10/28/11, 2377 Selby Ave sold for $1,000,000. According to the MLS, the home is a 4 bedroom / 3 bath, 1,795 sq ft of living space on a 6,750 sq ft lot.